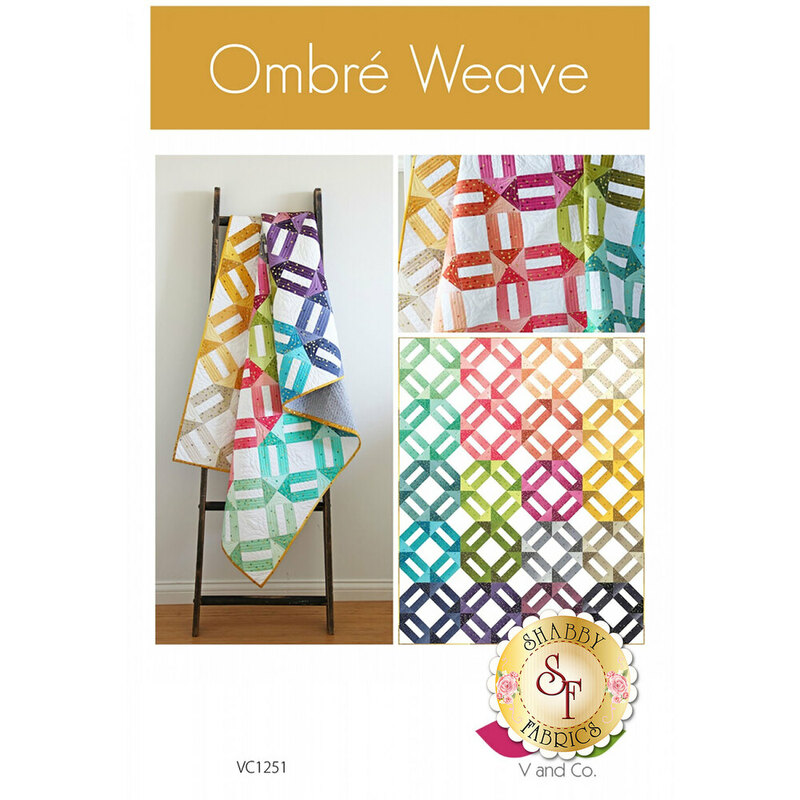 Add a vibrant and eye-catching quilt to your home with the Ombré Weave quilt! 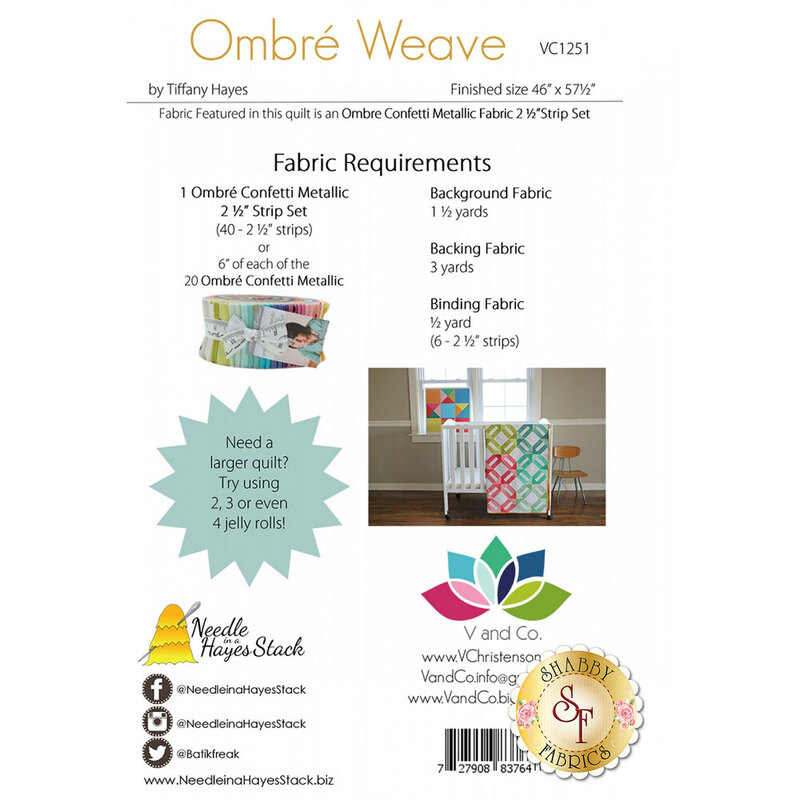 This beautiful quilt by Tiffany Hayes of V and Co. can be made easily with a jelly roll and some background fabric. Quilt finishes to approximately 46" x 57½".